The Queen of Pop reclaims her crown with her 12th studio album to date; a collection of shiny, dancefloor anthems set to take the roof off the summer. 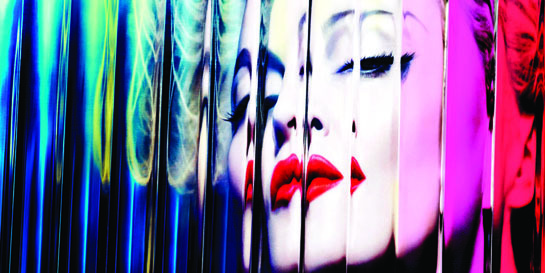 Co-written by Madonna, album highlights include the glorious William Orbit produced ballad I’m A Sinner and pounding club classic Turn Up The Radio, produced by French electronic DJ and producer Martin Solveig. Click HERE to listen on Spotify, or HERE for iTunes.